It can be quite daunting when holidays begin to involve a chain of children in tow. Long gone are the days where you can relax on the beach with a book, while only half keeping an eye on your belongings – your cargo is a lot more precious now. And they need entertainment. 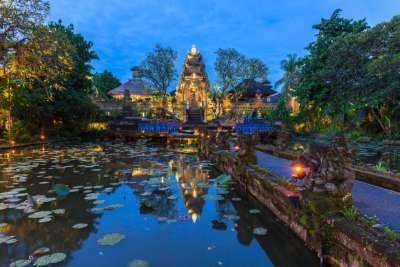 These tropical destinations may make you fly further but once you’ve arrived, you’ll be pampered and your kids kept busy, often with just the great outdoors as their playground. And the views aren’t half bad. 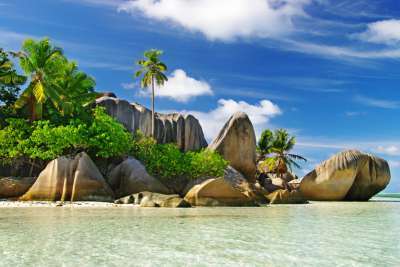 Warm, pearly waters of the Indian Ocean lap at white sands and frame verdant, tropical backdrops on the Seychelles. There are countless, children-friendly resorts on this island, with plenty to keep those chocked-up full of energy entertained. Windsurfing, sailing boats, kayaks or pedalos will get the little ones out on the crystalline seas while spas will take care of the adults. And just about any age will love snorkelling around the many undisturbed fish just below the waves. That's not even mentioning the rare wildlife everyone will enjoy seeing - especially the resident giant Aldabra tortoises. This extravagant city holds a wealth of opportunity for families, from white, sandy stretches of beach to the wild and wacky desert safaris and amusement parks. 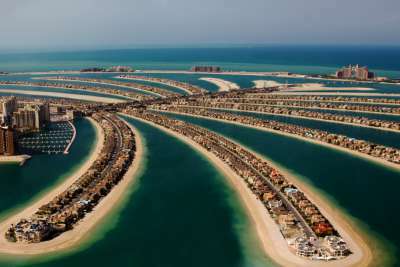 Dubai's five-star eateries sit alongside massive malls that house snowy ski slopes and a penguin petting centre. Kids can play adults in KidZania, an award-winning entertainment centre, or swim with dolphins at Aquaventure Waterpark. The adults are more than catered for too with plenty of five-star hotels (and spas! ), world-class shopping and stunning restaurants. Home to some of the best stretches of beaches in Mexico, the Riviera Maya also boasts plenty of stunning, family-friendly, five-star resorts. That's not all either. 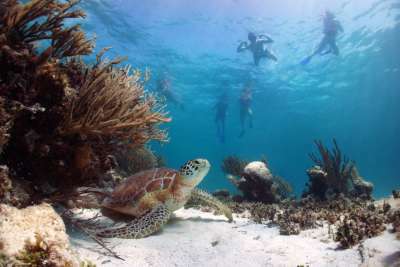 Akumal Bay has been fondly coined as 'Land of the Turtles' as so many turtles lay their eggs on its shores. Villa-style accommodation is fringed by Mayan rainforests, Xcaret, an eco-archaeological park, allows your family to do everything from swim with dolphins to explore underground rivers and Xel-Ha, one of the world's most beautiful natural aquariums, is home to lagoons, cenotes, caves and aquatic zip-lines. And that's not even taking into account the stunning cycle paths, the snorkelling or the breathtaking ruins. 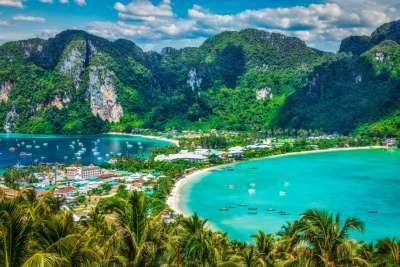 World-renowned hotels, countless beaches and fantastic boat rides will keep the whole family happy in Krabi. Karst cliffs will get adventurers climbing, sparkling, clear waters will make you grab your snorkel and never want to come up for air and unspoiled views will make everyone pause to appreciate. Koh Lanta is a family-favourite with every activity under the sun to keep people busy, from rock-climbing to elephant-trekking and Thai cooking classes. La-La Land is a perpetually sunny playground for all ages. 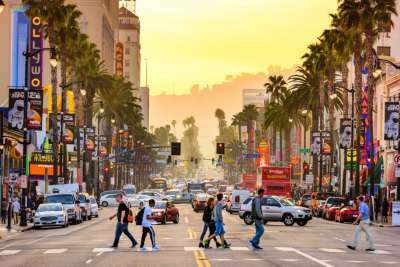 Walk amongst the stars on Hollywood Walk of Fame, celeb-spot on Rodeo Drive and have a peak at the Kodak Theatre, the host of the Oscars. It isn't all about the movie stars though. Roller coaster rides dot the horizon - there are plenty of amusement parks to choose from - places like Venice Beach have an endless amount of entertainment alongside stunningly beautiful beaches and there are plenty of boutique shops to tempt that credit card right out of your pocket. The impossibly photogenic waterside city of Sydney seems to be permanently mistaken for Australia's capital. A centre of activity, life rotates around Sydney Harbour. Take in the iconic sight of Sydney from the water, sat atop a ferry, pack a tasty picnic for the family and munch on sandwiches on Cocktaoo Island or Fort Denison or hop aboard a high-speed catamaran for a sneak peek at the beautiful beaches of Manly for a group surf lesson. 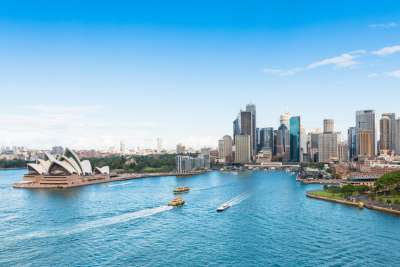 The Australian National Maritime Museum, Darling Quarter Playground, Sydney Sea Life Aquarium and Wild Life Sydney Zoo always impress too! Sri Lanka is a tiny island in the Indian Ocean - but that doesn't mean it doesn't pack a lot into its tear-shaped borders. Hop on a bike and explore colourful villages, stunningly ornate temples and lush tea plantations that seem to span miles in each direction. There's plenty of wildlife for the kids to spot along the way, from elephants, monkeys and crocodiles to rare birds and even an elusive leopard. 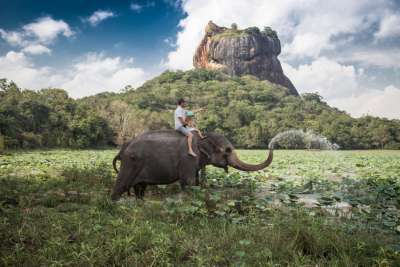 From Sri Lanka's Cultural Triangle to its stunning Lion's Rock, there are just as many man-made wonders as there are picturesque beaches for the whole family to enjoy. 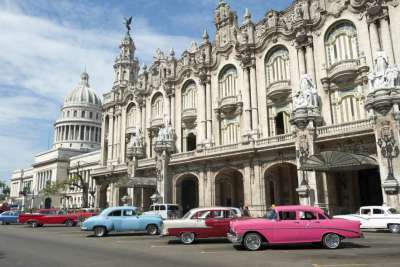 This buzzing slice of the Caribbean continues to enchant with its fascinating history, coconut palm-fringed shores and stunning landscapes - Cuba is firmly on the map. Renting a car will give your family the freedom to explore its many aspects. Take a stroll through candy-floss pastel houses in the old colonial quarter in Havana. Viñales has picturesque tobacco fields and intriguing caves to explore. Trinidad, however, is where to go for those Caribbean beaches, with great snorkelling and Robinson Crusoe-esque islands to explore a short catamaran ride away - a family day for all ages! No one can deny the beaches are stunning in Bali but go further inland and you'll find plenty of things that will rival that beauty. Ubud's Monkey Forest, for one, will keep your eyes firmly on the trees (and on your food, if you have anything on you). Ancient, revered carvings mark the walls of Goa Gajah. And cycling around the stunning Tegallalang Rice Terraces will take your breath away, in a good way. Just getting a taste of real life in Bali is a treat. And then you can go back to the beach - we'd recommend a boat trip to the Gili islands. 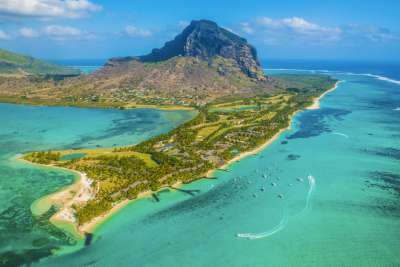 Catch sight of Mauritius and make sure you remember this - underneath those glistening waves is the world's longest unbroken coral reef. If that's not reason enough, emerald sugar cane fields, leafy rainforests and stunning nature reserves round off the stunning landscapes. Shallow waters invite even the littlest of swimmers in while protected lagoons tempt you over. Mountain biking is a great way immerse yourself into the island way of life - the wildlife will keep you looking left and right and after the hard work's done, it's back into those cooling waters to snorkel around the stunning world under the sea.